How is it that our super charismatic friends always seem to get into conversations with whoever they run into? The barista, the guys and girls at the beach, the whole fun-looking table next to you. Are they just friends with everyone? No, not really. They’ve just learned and practised Pinging and Small Talk. Pinging is the act of figuring out who wants to talk. Not everyone is in the mood to talk, and not everyone is in the mood to talk to you. Small Talk is that part of conversation that everyone seems to hate, but which excellent conversationalists use to discover your surface characteristics, and share their own in an appealing way. The Conversation Handbook goes into great depth, providing exercises on how to improve both of these skills. It also gives examples and some tricks that you may never had thought of, among many other helpful and related topics. For now, let’s go over the basics of Pinging. Pinging is a multiple stage way to initiate a conversation. Anyone who is naturally good at starting casual conversations follows this process subconsciously. I think the scariest part of becoming one of those crazy socialites who can talk to everyone is the first step; just saying the first couple words. Pinging is great because it lets you separate the first step from everything else. You don’t have to worry about what you’re going to say next, what good conversation topics are, or how you’re going to see the person again if the conversation goes well. Here’s a quick example. Imagine me sitting in a coffee shop obnoxiously typing away on my laptop and suffering from an excess of caffeine. A twenty-something guy pulls out the chair next to me and puts his own laptop on the table. I notice a sticker for a marketing company I’m familiar with. At this point, habit is what causes me to ping. The likelihood that this person is interested in talking and is actually someone I’d like to know are slim, but I might as well give it a shot. I know it’s only going to take a couple minutes to figure it out anyway. When you Determine Interest, you want to know if someone is interested in chatting, and if so, how interested are they? I like to think of it as Green, Yellow or Red interest. If they’re not interested, no harm done, we just won’t continue the conversation. To Determine Interest, you just need to say something. Pretty much anything. I’d recommend a question or statement related to why you noticed them in the first place, but a simple, “Hi,” works just as well. Did he give a terse or one-word answer when they could have given a full one? If so, RED. Did he give a full response? If so, YELLOW. Did he expand their response or try to involve me? If so, GREEN. Well, he could have just said, “Yeah.” He didn’t, he continued to tell me why he’s into Moz. But he didn’t ask me why I care, or if I’m in the industry as well. So we’ll say he’s YELLOW. Cool. Now I could try to just pop right into a conversation by, say, asking him a question. The problem is that, when we’re in conversation, asking a question is kind of like borrowing money–we’re hoping that the question will lead to an exciting topic, but if that doesn’t work then we’ve just wasted the first minute or so of conversation and come across as boring. So instead I’m going to Pump Interest. I’m going to use one of the conversation games from The Conversation Handbook called the Rule of Threes to make him laugh. 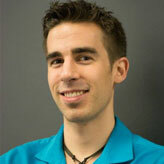 I happen to know that Rand Fishkin is the face of Moz, so I’m going to exaggerate his importance a bit. No matter how interested someone is in chatting, it’s always good to take what interest they have and give it a little boost. Pump Interest a bit. Give them a reason to like you, think you’re funny or interesting, or that you share a hobby. It takes a fraction of a second for me to consider whether I want to move the conversation forward, transitioning into Small Talk. He’s obviously in my industry, has a decent sense of humour, and I’ve shown him that I’m interesting and funny, so he’s got a good reason to chat with me as well. The third step of Pinging is Transitioning to Small Talk. Standing in line at the store might not be the best time to have a full conversation, but it’d be a shame not to keep talking with an interesting and interested stranger you just met at a party or conference. What’s the quickest way to get into a full conversation? We’re technically on a conversation topic, but it could easily end here. To transition to small talk, the trick is to decide to pursue the conversation. That sounds silly, but it’s not. It’s a commitment to keep trying, taking responsibility for every aspect of the process. I promise to myself not to let awkward silences last. I promise to myself to be interested in the other person, and to find out more about them. I promise to myself to be open and give my conversation partner several topics to ask me about. Throughout the rest of the conversation, I’m looking for the absence of red lights. If he does or says something that is obviously intended to end the conversation, or shows that he’s uncomfortable or not interested in the conversation anymore, then I’ll relent. If he doesn’t show any red lights–even if I can’t read his thoughts and see his level of interest in the conversation–I’m going to assume that he wants to keep talking. Otherwise I might give up on my promise without giving the conversation a chance. Small talk, how to ask questions without being an interviewer, how to be funny and how to tell engaging stories are all part of this conversation process. If you want to improve any of these skills and other related ones, give The Conversation Handbook a read. I don’t know anyone who enjoys small talk, so knowing how to get through to some juicier conversation is important. If you use threading effectively you’ll already be halfway to knowing how to get through small talk. 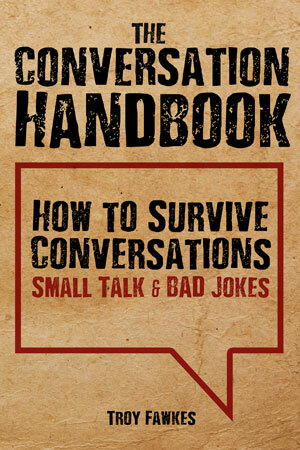 With one or two other tactics, combined with some useful exercises, The Conversation Handbook will take you the rest of the way. When I meet someone for the first time, I learn a lot about their social skills by the way they handle small talk. Do they ask boring question after boring question? Do they jump into a long-winded story right after we get introduced? Do they start offering me advice on how to live my life before they know anything about me? Mastering conversation topics isn’t going to get you anywhere without applying these 7 tips from The Conversation Handbook. You have a general idea about threading, but how do you incorporate it into your daily life? What are the steps to feeling comfortable, even in new and scary social situations? Take some time to go through the evidence-based exercises and learning methods in The Conversation Handbook. Troy has worked with dozens of professionals, from the very best of London’s famous Harley Street psychiatrists, comedians and comedy trainers, eminent and wealthy sales and marketing professionals. His work is a combination of these lessons as well as thousands of hours in public speaking, sales, training and communications.